Five Grizzlies participated in the ceremony to sign their National Letter of Intent (NLI), which is a document used to indicate a student-athlete’s commitment to participating National Collegiate Athletic Association (NCAA) colleges and universities in the United States. “Signing Day,” as it is otherwise known, takes place in both Fall and Spring each year to accommodate athletes from all sports. It may be attended by prospective student-athletes who will be entering a four-year institution for the first time in the academic year after they sign the letter. 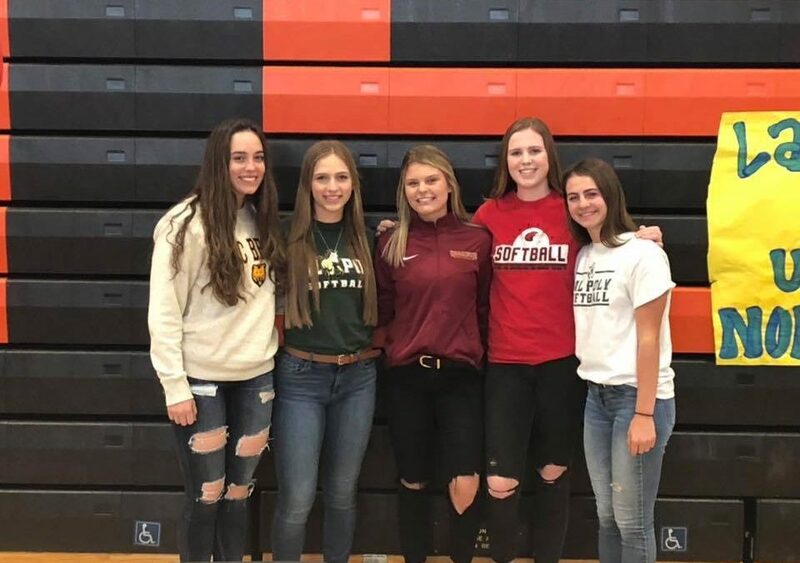 The 5 Grizzlies who have now signed their letters and committed to playing softball in college are (shown from left to right): Lainey Hanehan (University of Northern Colorado), Sydney Frankenberger (Cal Poly, SLO), Natalie Depasquale (Willamette University), Alexis Burt (Simpson University), and Amanda Robman (Pomona College). Congratulations to our 5 (so far!) college-bound softball players! Go Grizzlies!